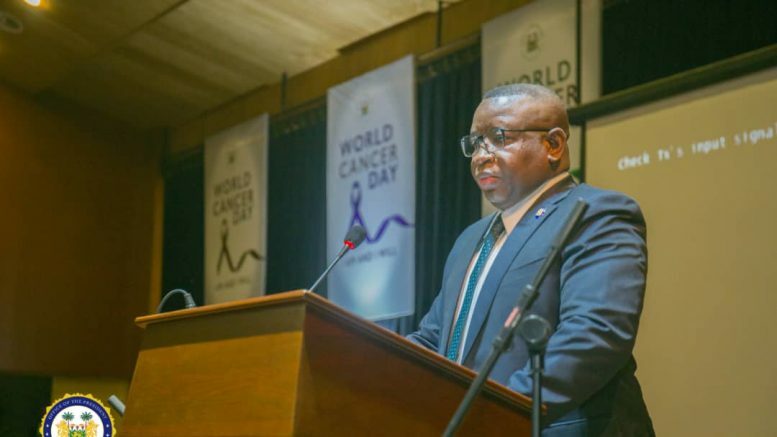 State House, Freetown, Monday 4 February 2019 – His Excellency President Julius Maada Bio has joined many others to commemorate the World Cancer Day, organised by the Office of the First Lady, at the Bintumani International Conference Center, Aberdeen in Freetown. In his statement, Minister of Health and Sanitation, Dr Alpha Tejan Wurie said his ministry was working to reduce people’s exposure to the disease. 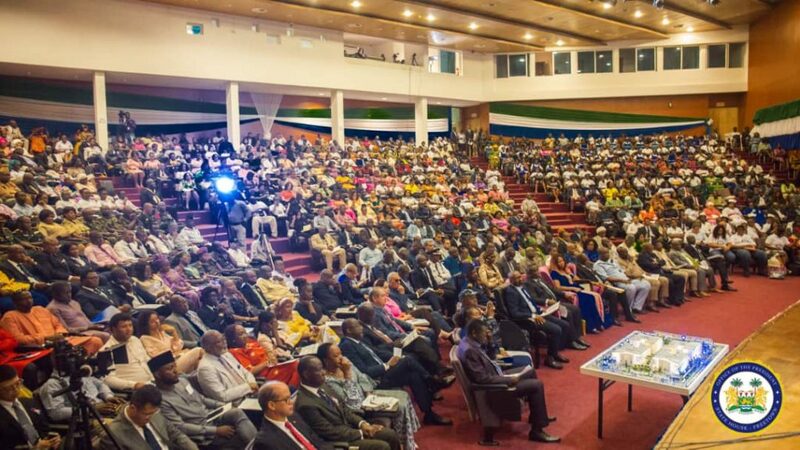 He said there had been discussions for the construction of a radiotherapy center in the country that would help save the lives of Sierra Leoneans and also encourage people to improve on their diet as a preventive measure. With the theme: “I am and I will”, the event presented a three-year Cancer impact campaign by the Office of the First Lady. In her presentation, Her Excellency the First Lady, Madam Fatima Maada Bio, said that the theme spoke to what she would implore all women to do and challenge every Sierra Leonean woman to be informed and be empowered. She said that her office had continued working on building a dedicated cancer care centre in Sierra Leone as a matter of urgency, noting that because of the magnitude of the cancer crisis among women in Sierra Leone in particular, the construction of a diagnostic and treatment centre was urgent. “We have engaged architects who have designed and developed an architectural concept for a 300-bed facility. My office hereby presents both the concept and the architectural blueprint to the Government of Sierra Leone for consideration. We must dream big as a nation in order to solve our country’s most pressing needs. “Merck Foundation is sponsoring the training of ten oncology specialists who will be trained at premier cancer-care institutions in India and Egypt. Upon their return to Sierra Leone after 1 year and two years respectively, local technical expertise around cancer diagnosis, treatment, and care will be strengthened. We will continue to advocate for additional training opportunities for our nurses and doctors,” she assured. 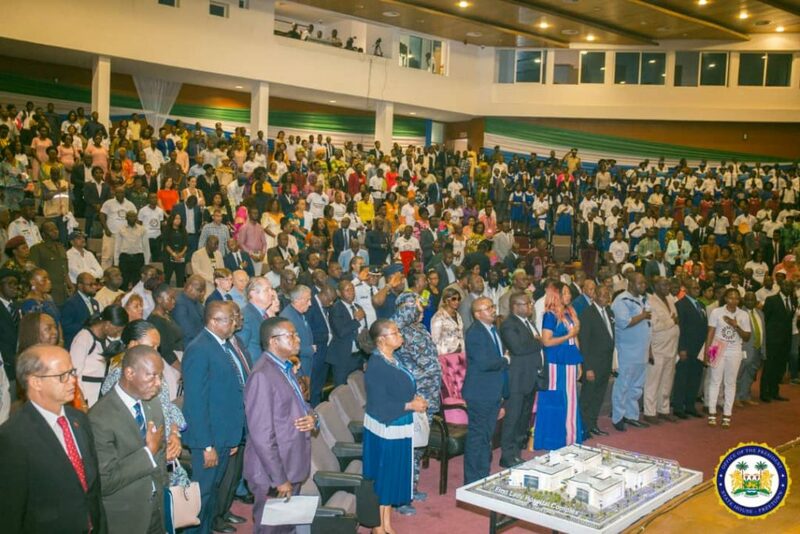 In his keynote address, President Bio said that the theme for the Cancer Day was a statement that emphasised personal responsibility and personal empowerment and was about inspiring individuals to action and urging them to take personal responsibility for themselves and for collectively mobilising to kick cancer out. He disclosed that upon assuming office, there were no cancer diagnostic services at any of the Government hospital facilities in the country, no radiotherapy services, no comprehensive cancer treatment hospital and there were very few trained oncologists in the entire country not because the doctors and nurses did not want to be trained, but because they lacked opportunities to get trained. 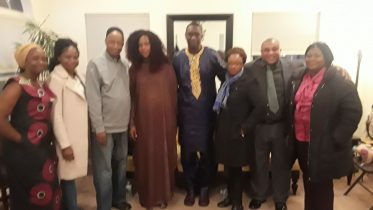 He stated that as a result of a severe lack of medical equipment, surgical oncology or chemotherapy services in this country were limited or nearly impossible, resulting in Sierra Leoneans spending $1.5 million US dollars every year flying mainly to Ghana for cancer diagnosis and care. He said that financial and emotional burdens were enormous for families and for the government. “As a Government, we have closely examined the problem, analysed it, and undertaken purposeful planning. We believe that cancer is preventable and that Sierra Leoneans should be fully informed on risk factors. We also believe that because early detection and diagnosis saves lives, we must intensify awareness campaigns. There is no place for misguided cultural notions about the symptoms of cancer or stigma for cancer patients. “We also believe that cancer can be cured and treatment must be accessible locally in Sierra Leone. That treatment must also be affordable to every Sierra Leonean who is diagnosed with cancer. In addition, we believe that we must seek out and offer training opportunities to our selfless and committed oncology nurses and doctors so that we have a critical mass of dedicated medical personnel for diagnosing and treating cancer,” he said. President Bio also stated that his government had undertaken two initiatives of getting a National Diagnostic Centre and a Radiotherapy Cancer Treatment Centre, through a strategic partnership with VARIAN, a US based organisation that was working in various African countries, adding that his government had already signed an MoU with VARIAN for the establishment of a National Diagnostic Centre to perform tests such as MRI, endoscopy, CT scan and other cancer-related diagnostic tests. “The Radiotherapy Cancer Treatment Centre will cost €8.3 million. The National Diagnostic Centre will cost €11.5 million. The total cost is €19.8 million. Government has negotiated full financing for both projects that requires Government to pay a 15% down payment before the commencement of work and to make complete repayment within 10 years at a low interest rate of 1.7%. “I promised the people of Sierra Leone that all ill-gotten monies recovered from corrupt persons will be given back to the people of Sierra Leone from whom the monies were stolen. We have already invested money from leakages and waste into free quality education that benefits our children and into a free national ambulance service,” he said. He recalled that last month the Anti-Corruption Commission presented him with a cheque of over 8 Billion Leones or $1 million dollars, adding that in line with his promise to the people of Sierra Leone, he would use that money to construct and fully equip a national diagnostic medical centre. “As the Commissions of Inquiry proceed, Sierra Leoneans will know where more of the country’s stolen money is and we will recover those and put them into education, healthcare, and food security that will benefit every Sierra Leonean regardless of party, tribe, or region. 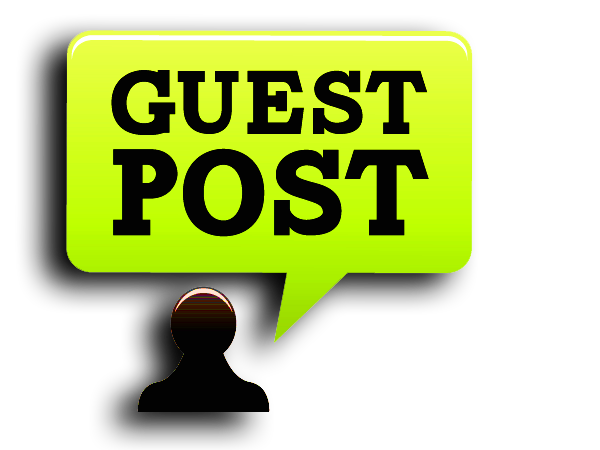 Every Sierra Leonean deserves better – full stop. “Finally, I am also pleased to announce that the Ministry of Health and Sanitation, in collaboration with the United Nations Population Fund (UNFPA), has secured funding support from the Government of the People’s Republic of China to commence construction and fully equip units in two government hospitals and five peripheral health units in Western Area Rural and Urban that will be dedicated to cervical cancer screening and management,” he ended. 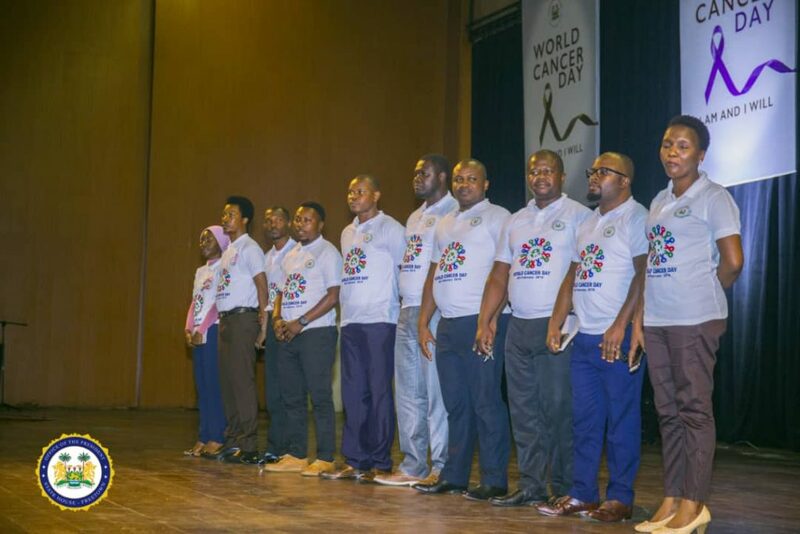 Be the first to comment on "President Bio Commemorates World Cancer Day at Bintumani Conference Hall"